Suldog: Happy Saint Patrick's Day! Yeah, I know it's March 19, not March 17. 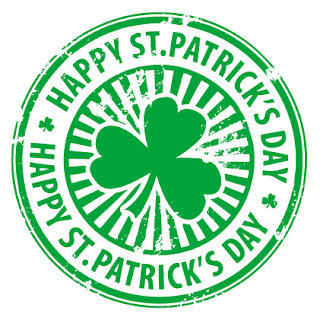 The real date for Saint Patrick's Day was Friday. 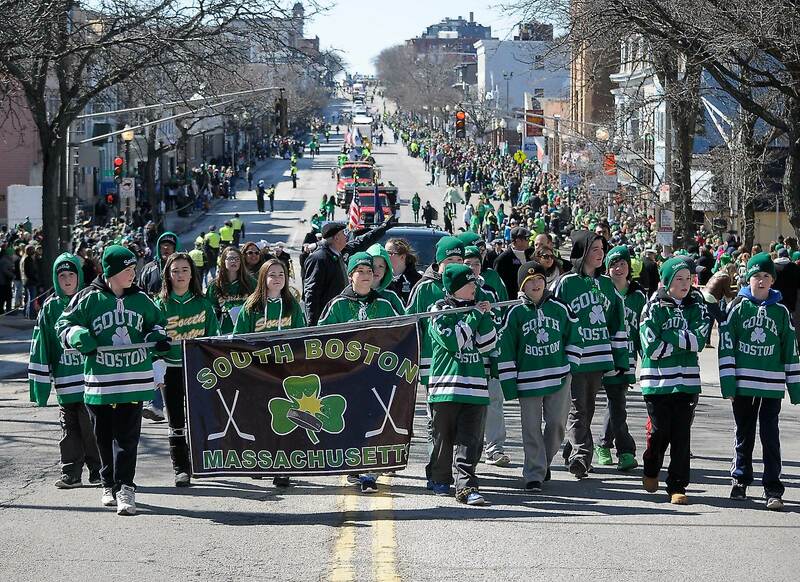 However, today is when the Saint Patrick's Day Parade takes place in South Boston. Today is also the day when my piece concerning the Saint Patrick's Day Parade (as well as a bit of Irish history) appears on the pages of the Boston Herald. Here's a handy link! Go to Sully's piece in the Boston Herald! The Boston parade has been the center of some controversy for many years now. Inclusion of some groups - or lack of same - has been a hot-button topic. Most of it surrounds whether gay, lesbian, bisexual and/or transgender groups, labeled as such, should be allowed to march. 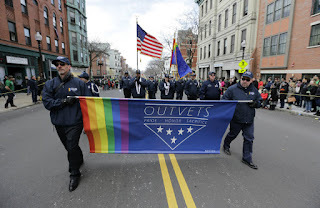 The case went to the Supreme Court at one point, with the parade organizers receiving an unanimous decision stating that they did NOT have to allow such groups to participate. However, in recent years, such groups have marched. This year, the organizers decided, once again, to ban them. 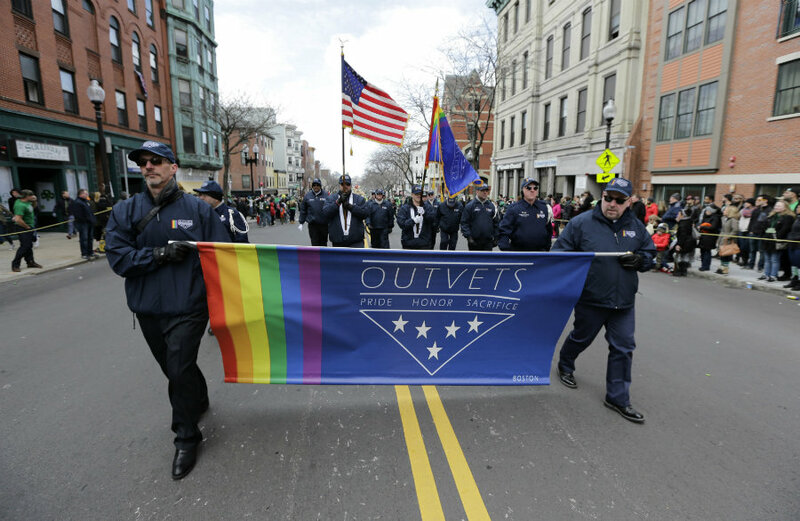 However, after a public outcry - and after some of the head organizers threatened to resign - another vote was taken and at least one group (OUTVETS, a group of veterans with non-traditional sexual tastes) will take part. My opinion? I believe the parade organizers should be able to exclude whomever they desire. However, as I hope I make clear in my column, I also hope that those who are up on their Irish history, especially as it pertains to oppression and discrimination, will be welcoming to EVERYONE who marches today. Soon, with more better stuff, Bucko. Well said. Even when i don't agree with another person's view, i will defend their right to have that view. I've never been to a St. Patrick's Day Parade, but I always imagined them as being exclusively Irish-related. I didn't realize they had become so political and there was such a controversy going on about them. Nice piece, Jim. I've got a bit of the Auld Sod in me as well, by way of me birth-father. . . I recall a pair of parallel scenes from one of the Civil War movies - I think it was Gettysburg - where Irish soldiers on both sides marvelled that their countrymen could be so blind as not to see the justice of what they were fighting for. . .
And I've never ceased to wonder at the phenomenon that the folks who profess the greatest indignation about having someone else's morality imposed on them are so insistent about imposing their morality on everyone else. . .